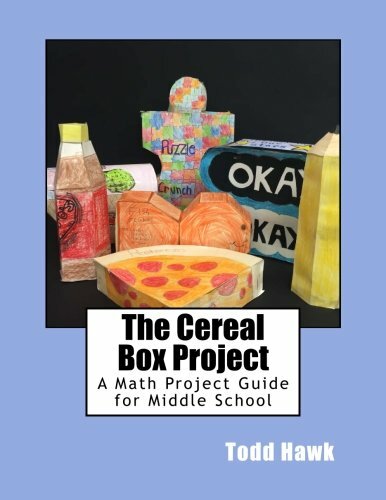 This is a collection of five of our most popular math books: 7th grade math common core 24, The math cereal box project, Finding the area of Unique Shapes, the Ultimate Percentage Guide, and the First Grade Math Survival Guide. 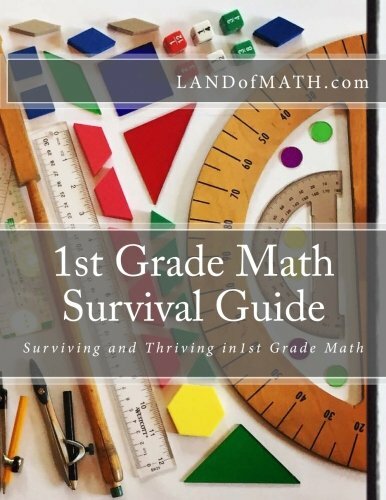 This includes a short description of each book, pictures of these different math books and a link that takes you directly to Amazon. 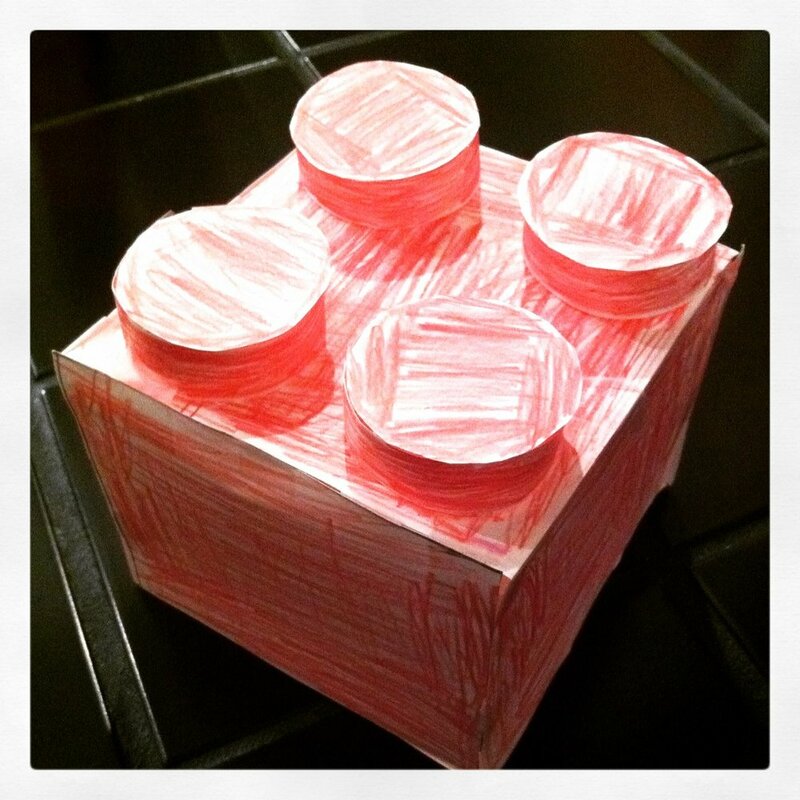 Parent of a first grader? Perhaps a first grade teacher. Either way, this is the guide for you. The content of first grade is not the problem. What is challenging is the terminology. It seems like education has taken something simple and made if more difficult than it should be. This guide will help make sense of this mathematical gobbledygook. 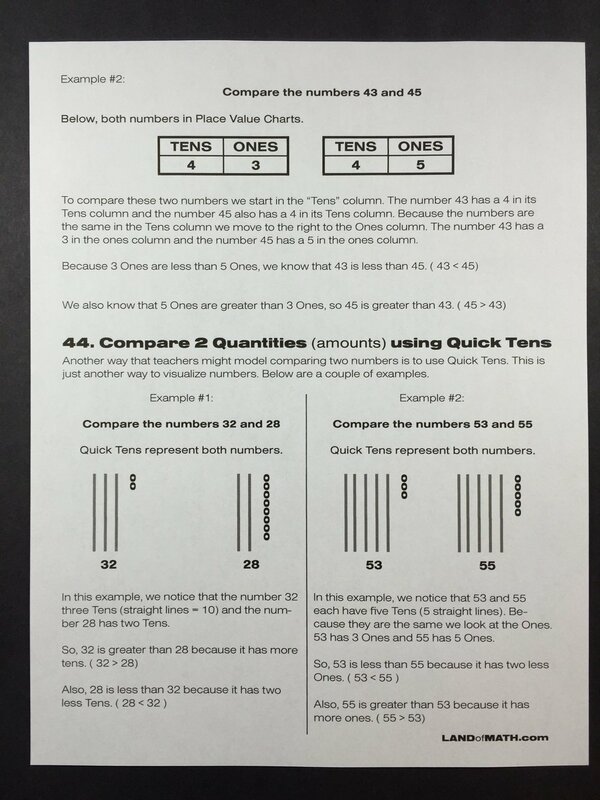 It's especially nice if working with Eureka Math, Engage New York or the Common Core. 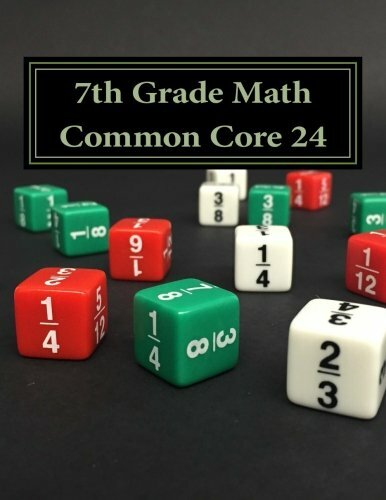 The Common Core 24 is a year long preview and review of all the keep topics in 7th grade math. 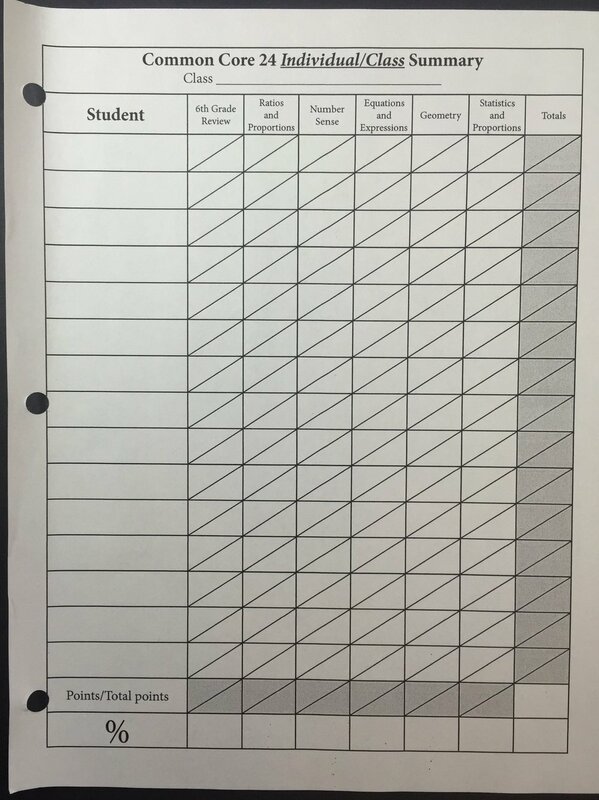 There are a total of 36 Common Core 24 worksheets. 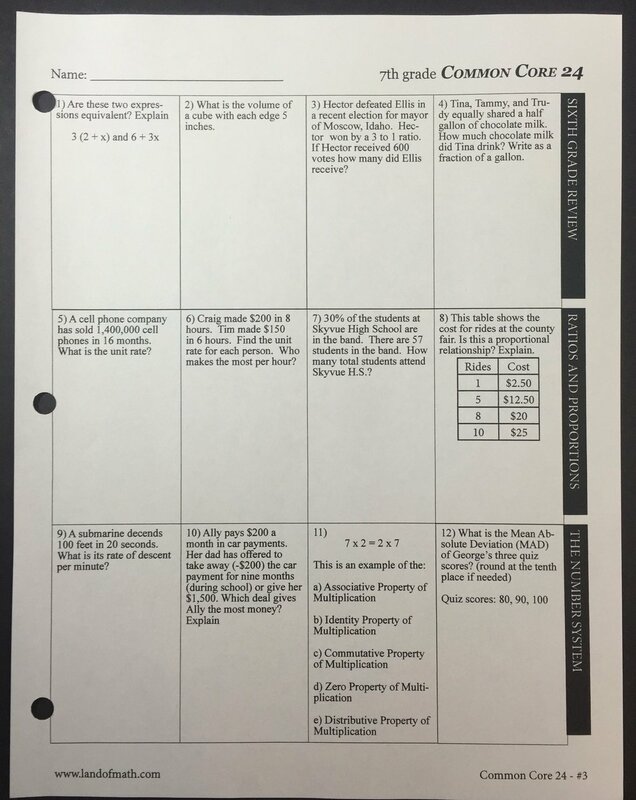 Each worksheet is divided into 6 sections (6th grade review, Ratios & Proportions, Number System, Equations & Expressions, Geometry and Statistics & Probability). 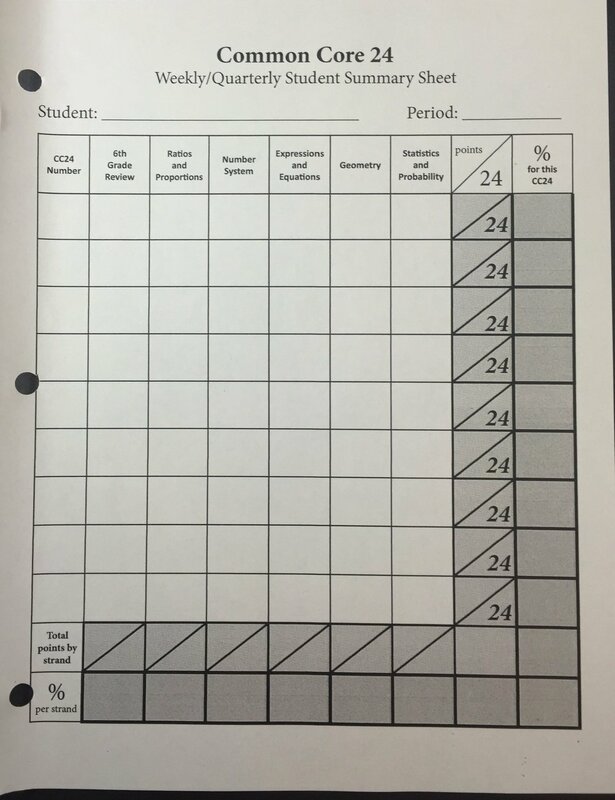 The CC24 includes 36 worksheets, Weekly/Student Summary Sheet, Individual Class Summary, Quarterly/Yearly Student Summary, Percent Conversion Chart for grading along with the Answer Key. 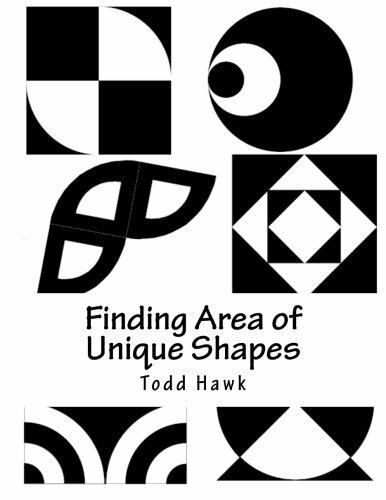 Take your geometry lesson to the next level with this book that contains 44 different composite shapes. 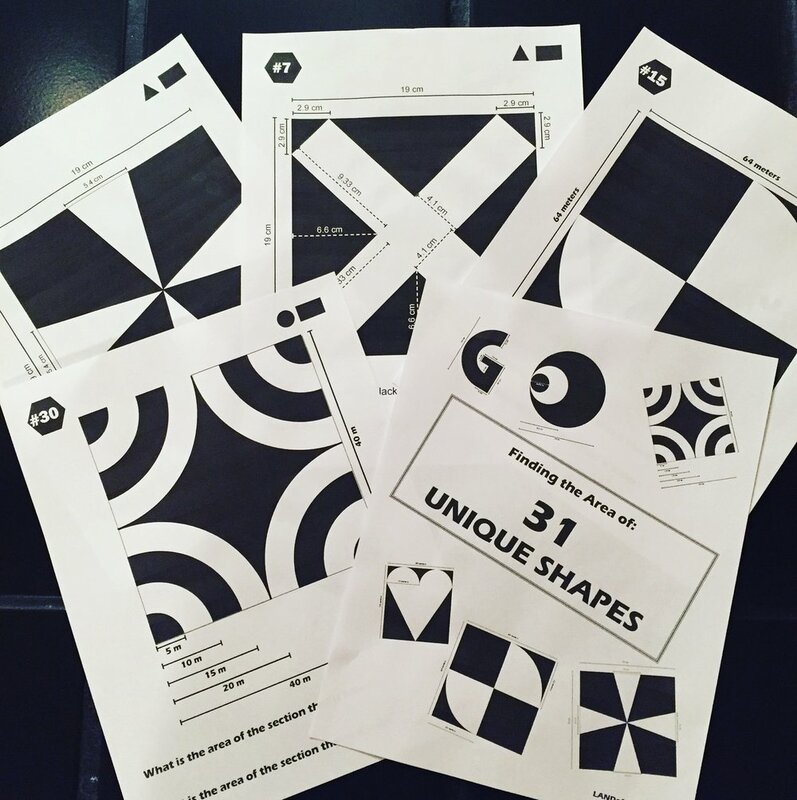 These shapes are great for problem solving, stations or group work. 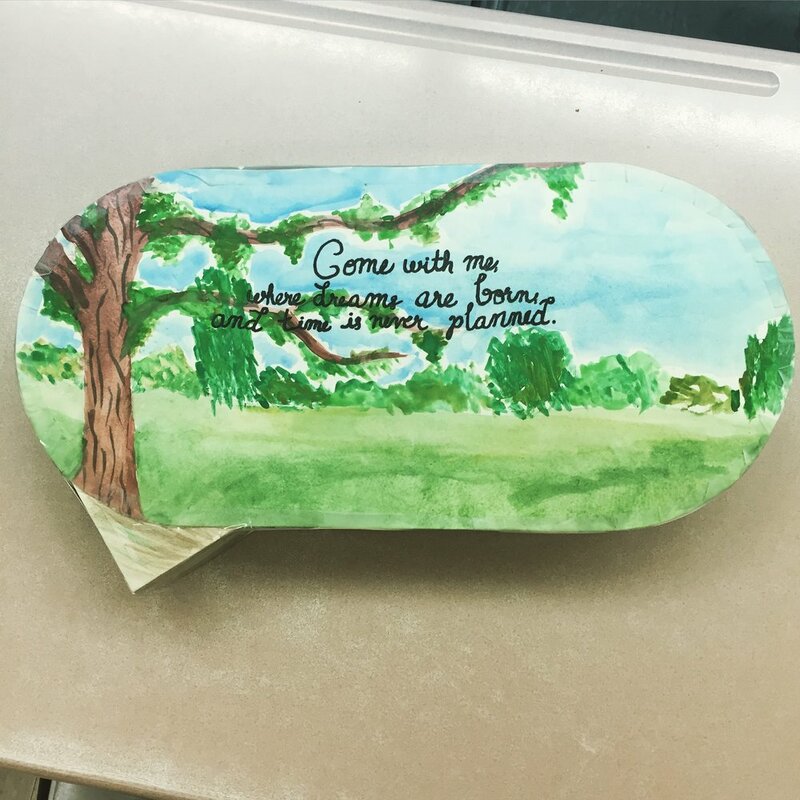 Even though this book is designed with middle school students in mind, it is great for high school review and for gifted younger students. 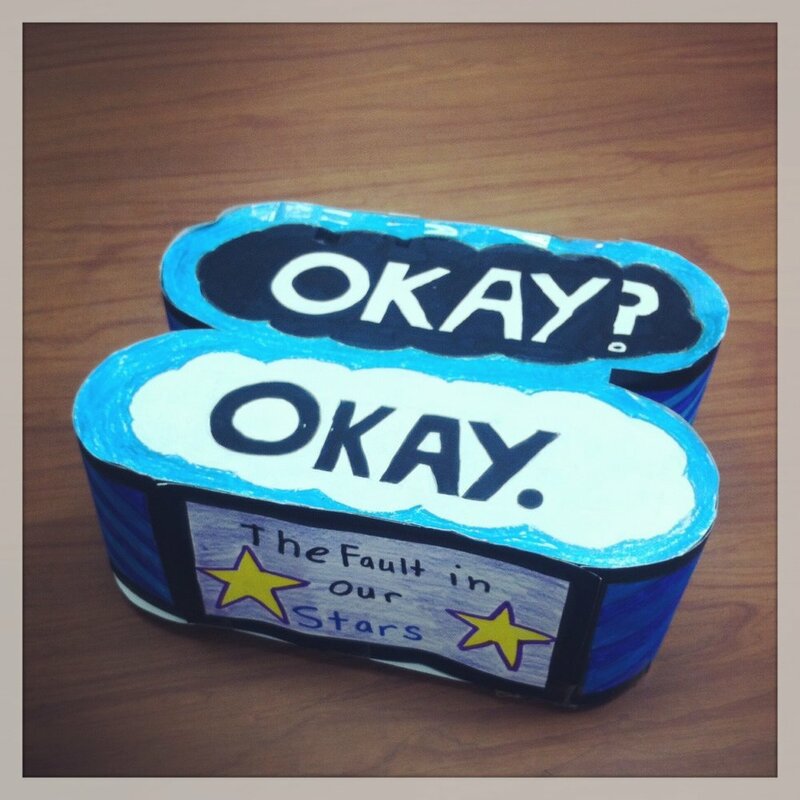 The shapes get progressively more challenging as you go through the book. 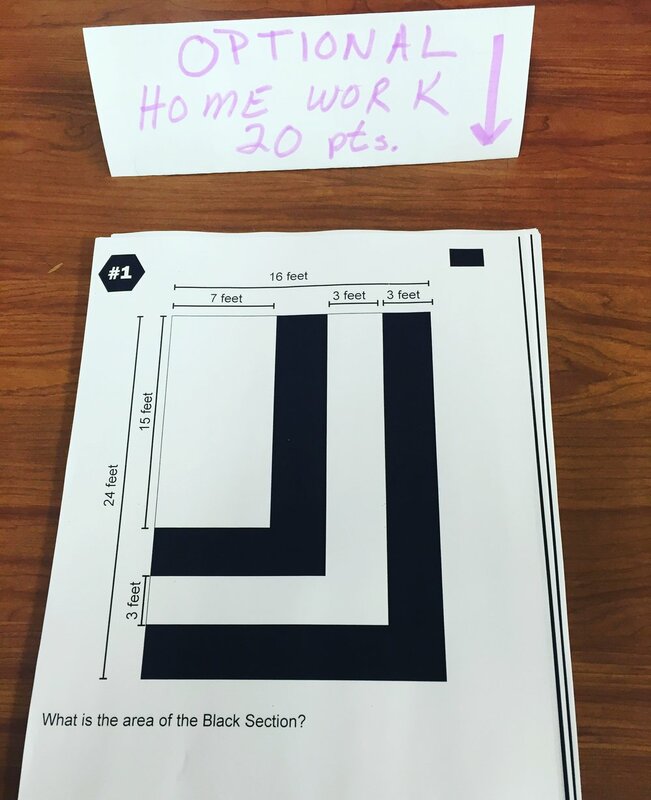 A math project guide for middle school students. 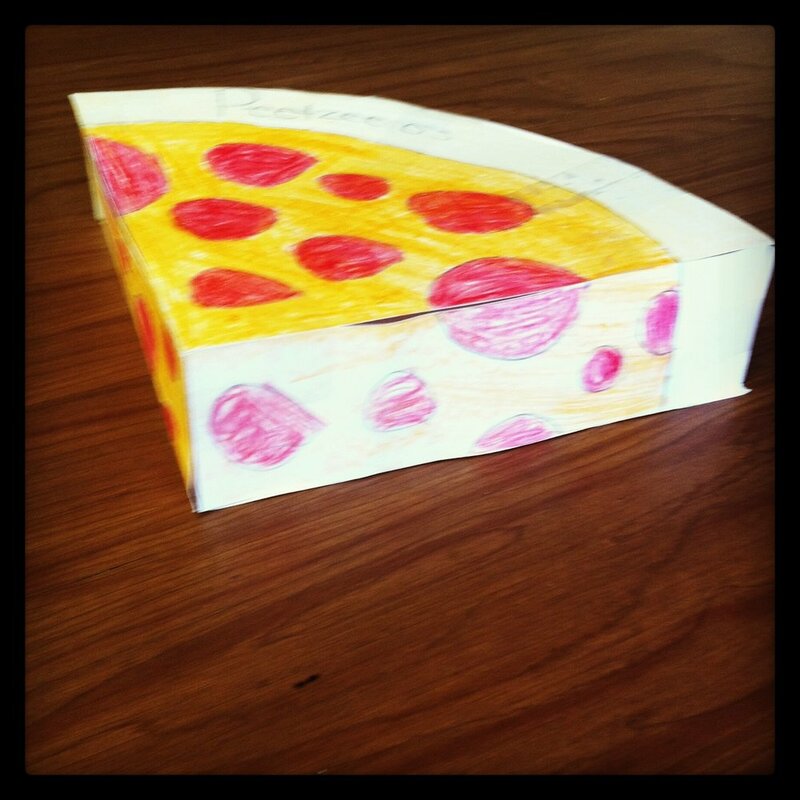 This is a guide to one of our all time favorite math projects: The Cereal Box Project. The premise is simple: A cereal company wants a new and unique design. 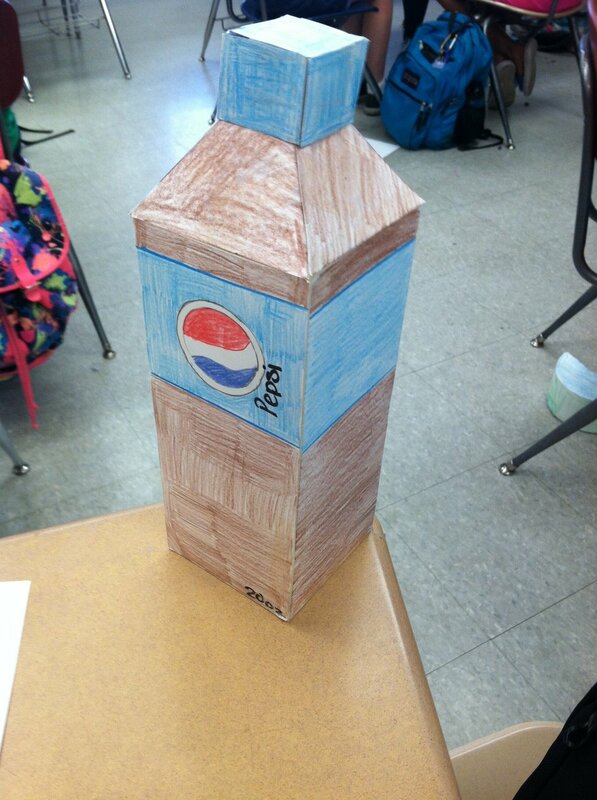 You task is to create this box (no rectangular prisms). 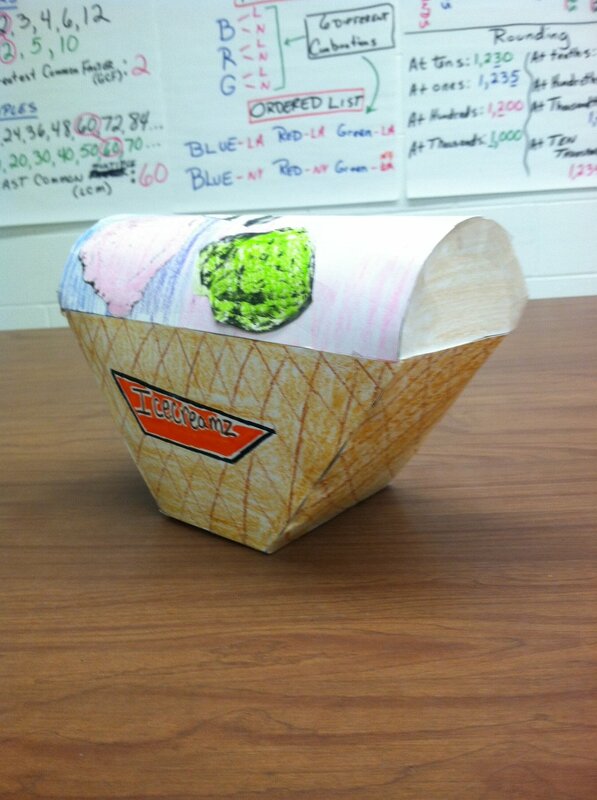 Students love hands on activities. 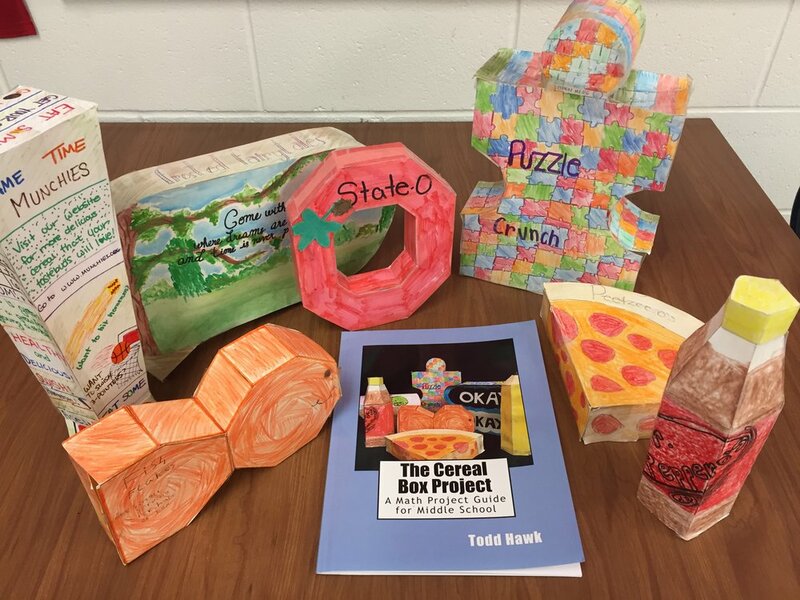 The Cereal Box Project allows students to be creative while at the same time giving teachers a nice culminating activity. This project gives you a lot a flexibility. 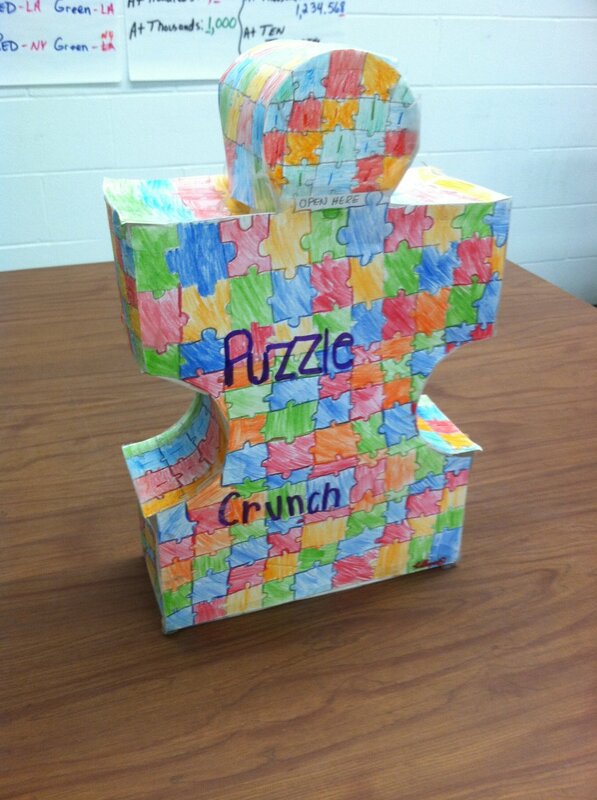 In this guide we provide examples, key math vocabulary, steps to constructing your cereal box, methods of evaluating, and 18 different tips and tricks we've learned over the past decade. This 152 page book is all about percentages (No shock there). 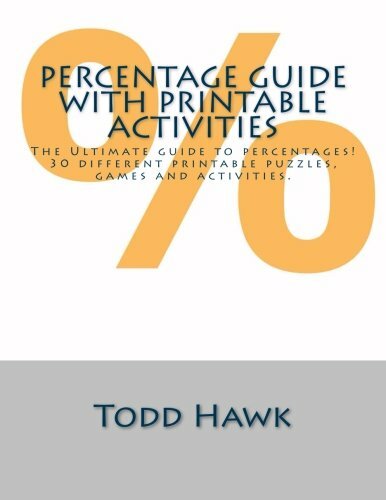 It is divided into two parts: Percentage Guide and Printable Percentage Puzzles, Games, and Activities.